November | 2013 | Can Men Cook? The Sir Charles Napier, in Spriggs Alley, South Bucks (10 mins j5 or 6 of M40) is a highly renowned Michelin Starred pub restaurant. (see web site). It was gastropub 30 odd years ago, before people knew what gastro pub meant, and it has evolved over the years to be a rather special dining experience. 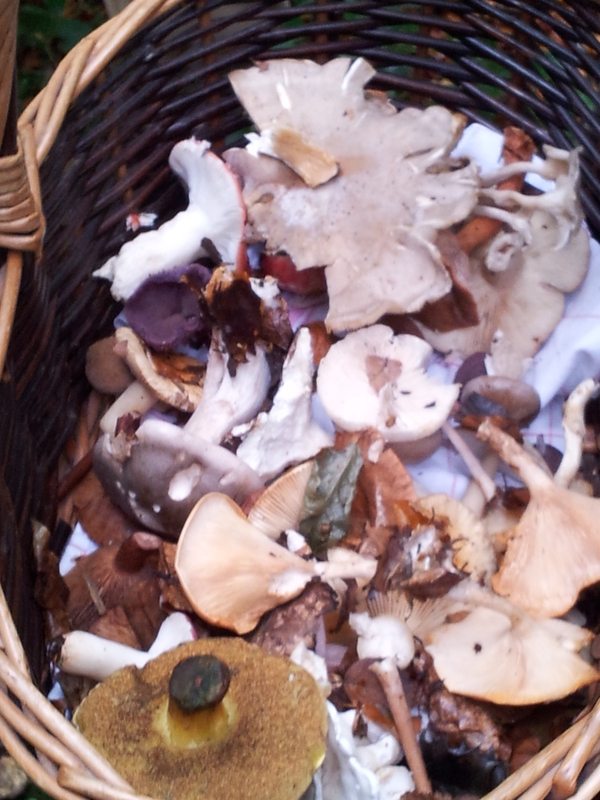 But last weeks Fungi Foray was a bit of a different experience altogether! About 95% of this was put back as unwholesome or dangerous! Then there are others that are bad looking (bright purple, or even black with grey tufts) that are perfectly edible…take an expert with you! 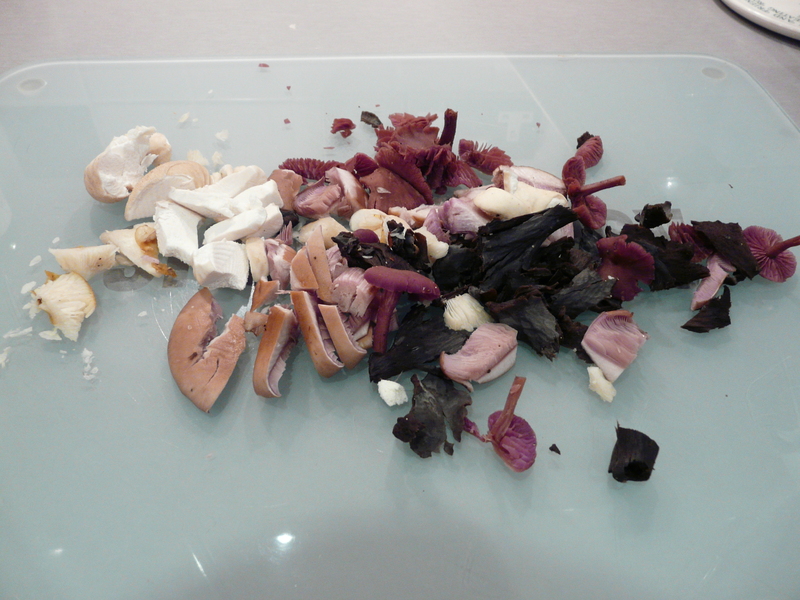 This was followed by a stunning pheasant dish- simply served on a quinoa base with puy lentils soaking up the jus and with many other fresh and zingy veg and more – some foraged, I am sure (and a mushroom or two crept in there!). 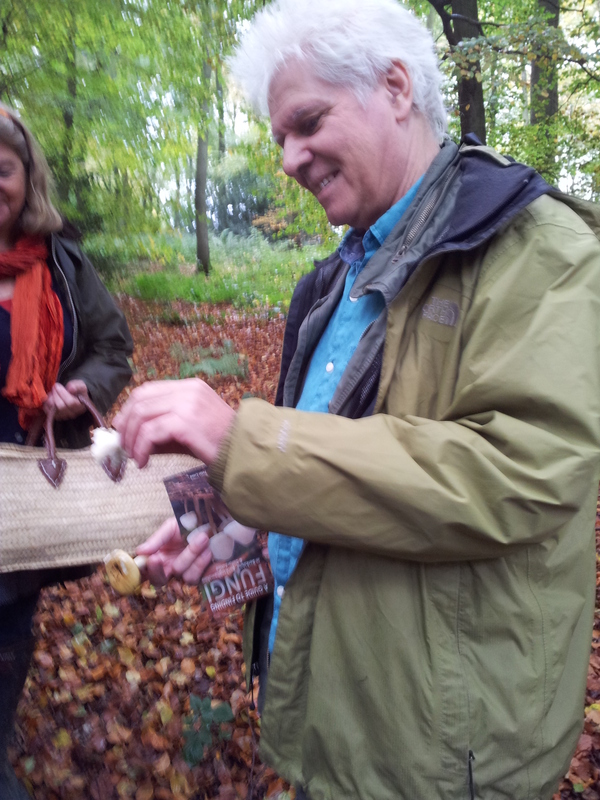 We were then allowed to pick some of the brilliant mushrooms form the array collected and vouchsafed by our expert. We used them in our slow cooked chicken cacciatore that evening – and most of them stayed together – even the delicate black beasts! I’m not going to attempt to identify them – you will need to attend one of the forays yourself! Added unctuousness for our dinner!